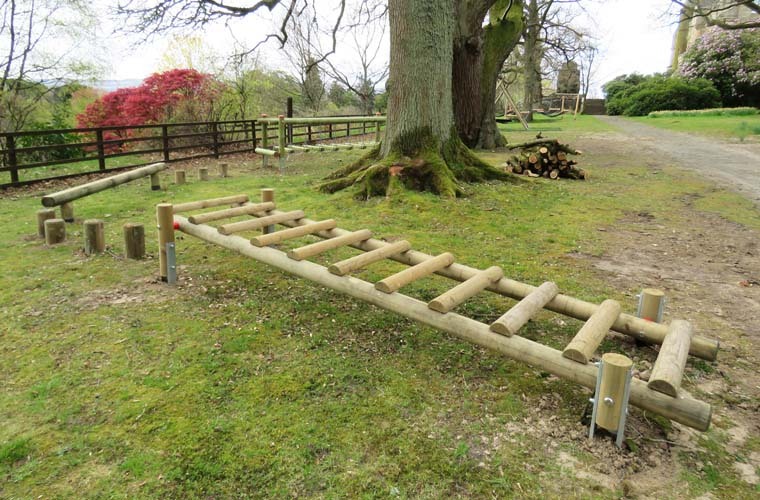 The sloping ground informed the design of the tree deck structure, with a lower deck (1.5m high) and a higher deck (2.1m high) connected by a bridge. 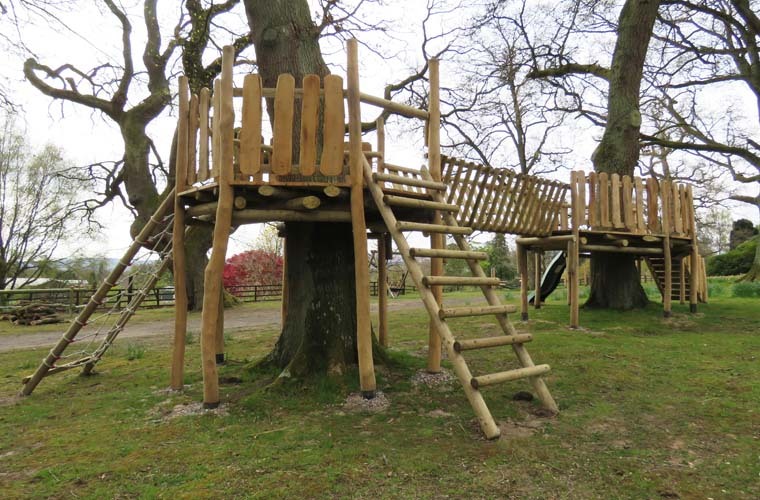 • Robinia timber was chosen for the platforms as the timbers retain the shape and bends of the tree - ensuring a natural look. 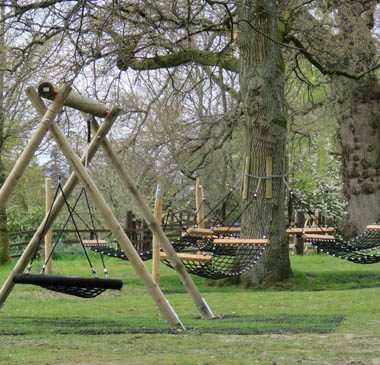 • The sub-frame is constructed with machine-rounded high quality soft wood for strength and durability. 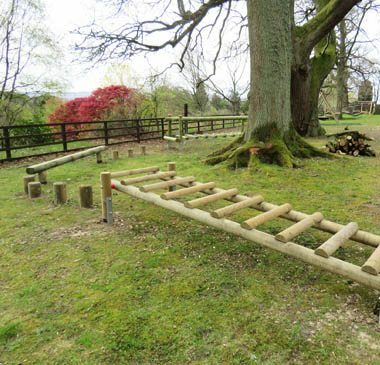 Agility Trail with Horizontal Rising Ladder, Stepping Logs, Balance Beam and Wobble Step Bridge. 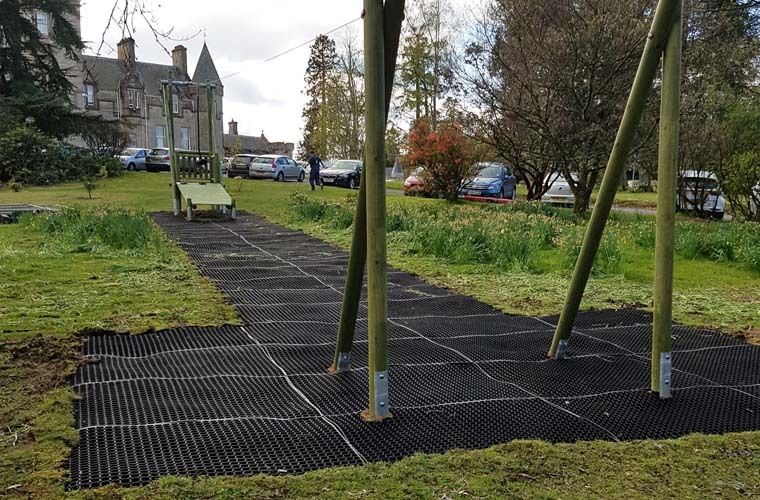 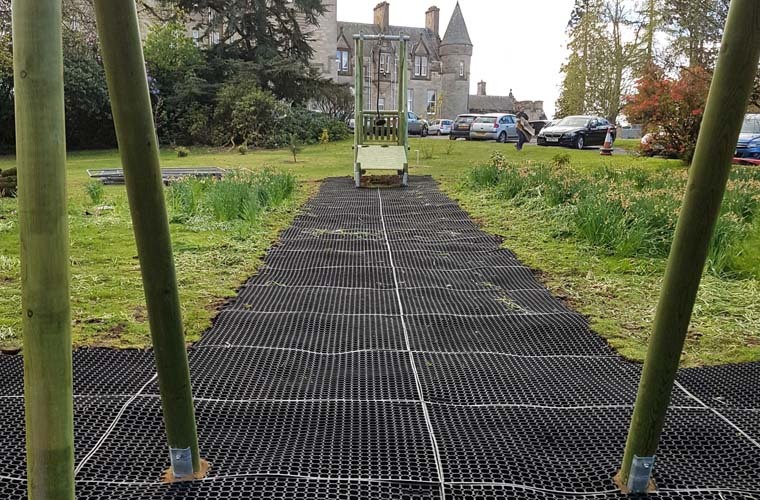 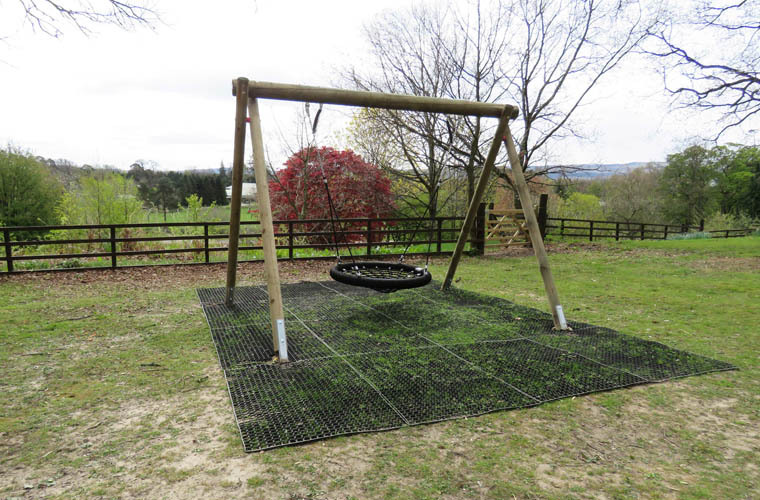 The project was developed to provide the residents of Camphill, who are young adults that require additional support and learning needs, outdoor play equipment to help them to gain confidence and experience of different forms of spacial awareness. 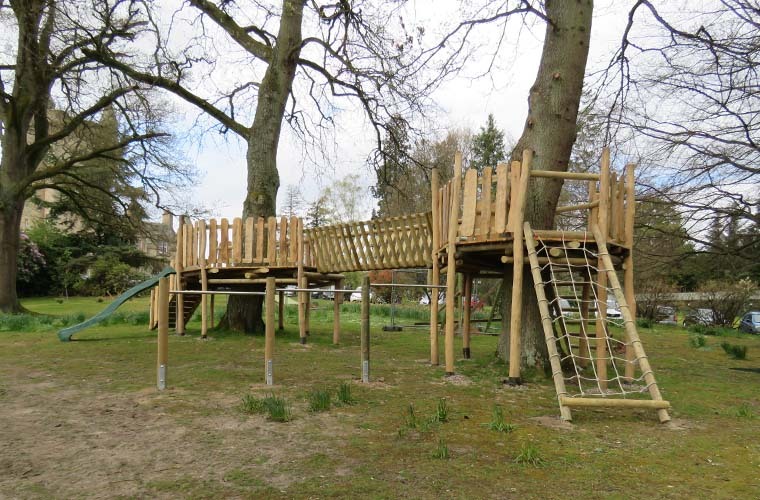 The objective was to design twin tree decks in a sympathetic manner with the local historic building and surroundings, including several special trees with preservation orders. 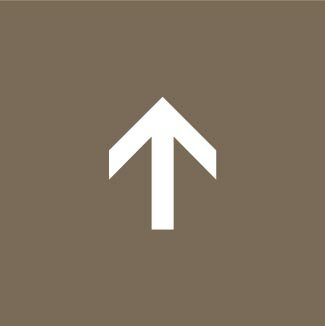 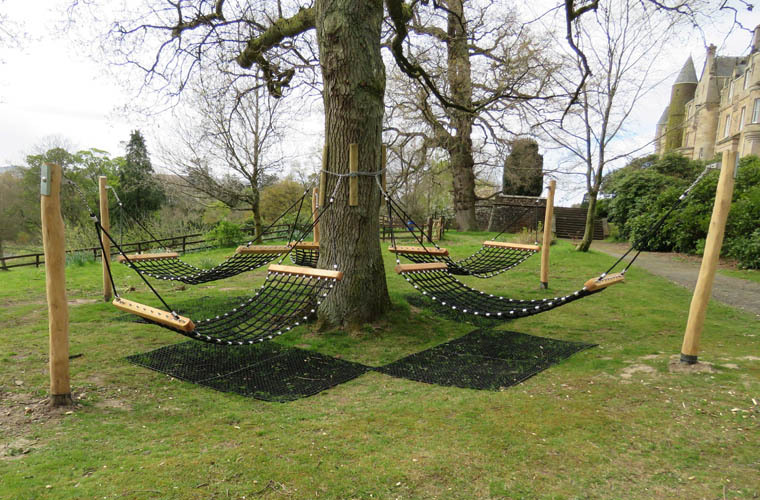 As the project scope evolved, additional elements were added to the design to provide a wide range of activities for the young adults. 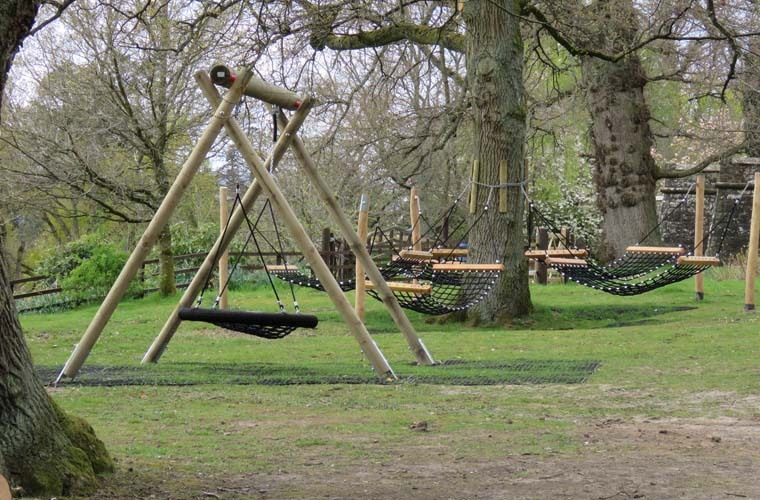 • Robinia timber was chosen for the platforms as the timbers retain the shape and bends of the tree – ensuring a natural look. 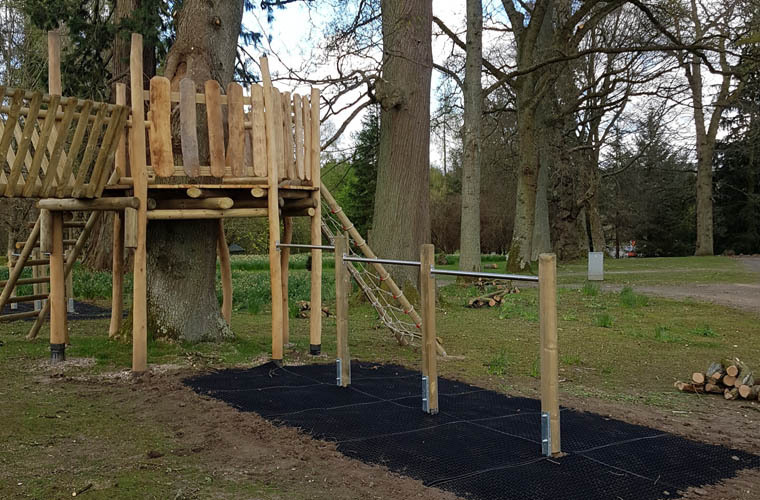 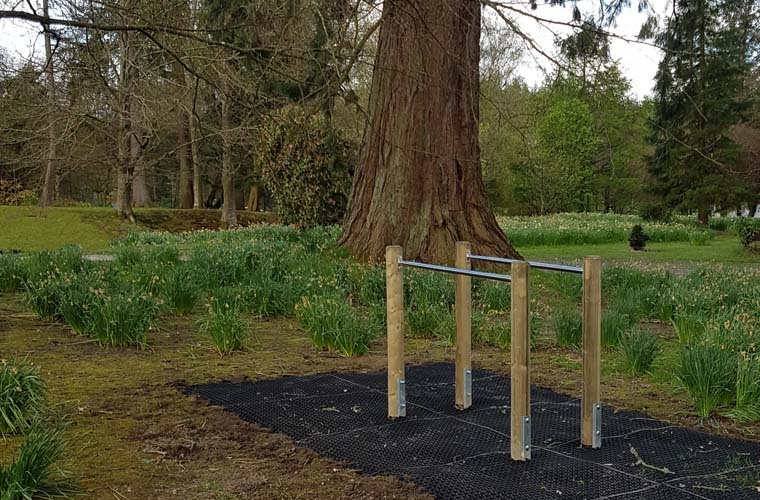 A mix of other equipment, incorporating swinging, sliding and agility, was also installed. 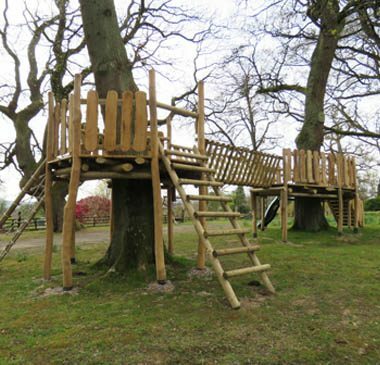 A full RPII inspection report was provided to the client as part of the project completion documentation.